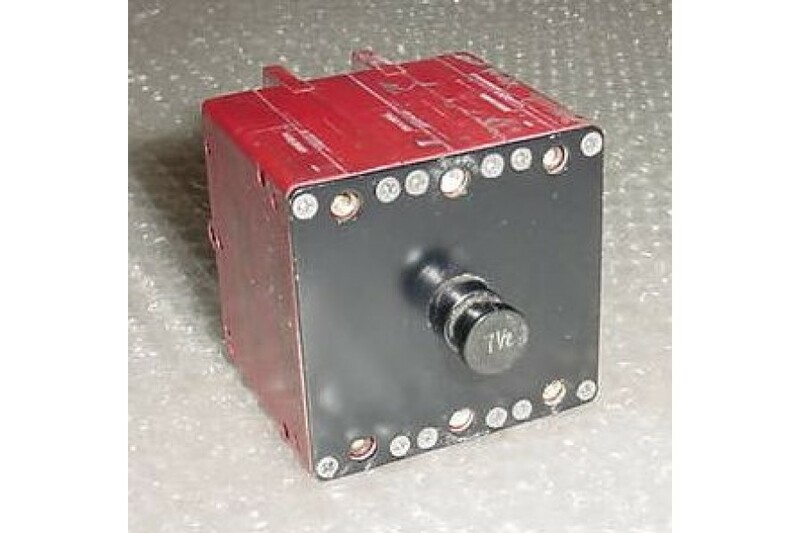 7 1/2A, 3 in 1 Klixon Aircraft Circuit Breaker. P/N 10-60806-7 or 6752-304-7 1/2. 7 1/2A, 3 in 1 Klixon Aircraft Circuit Breaker. P/N 6752-304-7 1/2 or 10-60806-7. NSN: 5925-01-155-8673. It measures 2 1/8" by 2 1/8" by 2 1/8". It is used, in good condition.